Aerial photos of Cherhill White Horse, Cherhill Monument and Cherhill Hill Fort near Avebury in Wiltshire. Landsdowne Cherhill Monument and Oldbury Hill Fort in Wiltshire from the air. 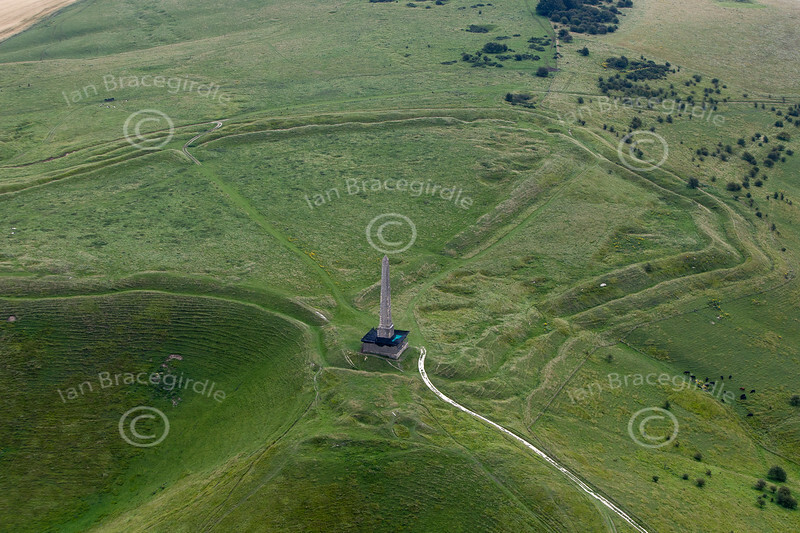 An aerial photo of the Landsdowne Cherhill Monument and Oldbury Hill Fort near Avebury in Wiltshire.